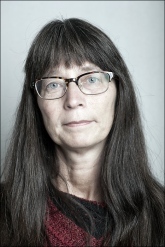 Eva-Maria Hardtmann is Associate Professor of Social Anthropology. She is Senior Lecturer and Director of Studies for the Advanced Level and the PhD program at the department. Her research areas include social movements, activism, transnationalism, gender, and power relations. She specializes in South Asia, mainly India and Nepal, but has more recently begun to study activism in the U.S. Her current project focuses on the prison abolition movement in the U.S., which is partly run by formerly incarcerated women. The project examines two generations of released activists and their views on society, the state, market economy violence and security, but also how everyday experiences are brought into their activism, and how activism practically unfolds in their everyday lives. It is a multi-sited study with fieldwork in New York, Louisiana and California. Hardtmann’s former project looked at activists in South Asia and their daily work and everyday practices in creating and upholding transnational networks within the Global Justice Movement. She focused on the daily work and everyday practices to create and uphold transnational networks within the Global Justice Movement among activists in South Asia and Japan. She also carried out fieldwork in World Social Forums in India, Brazil and Kenya. The aim was to contribute to a better understanding of processes, when activists in movements, involving different categories of people with varied focuses and with origin in different parts of the world, create networks between their respective movements. The study was also an attempt to study internal power-relations within the social movements. The research was funded by The Swedish Foundation for Humanities and Social Sciences and the outcome was presented in the volume South Asian Activists in the Global Justice Movement (2017). In previous research Hardtmann focused on the Dalit movement, a transnational movement with a base in India. Her fieldwork was carried out mainly in northern India, but also among Dalits, who had immigrated to Great Britain. Hardtmann has been member of advisory board in the project ‘Outlook in Civil Society’, a collaboration between Uppsala Centre for Sustainable Development, SIDA and Dag Hammarskjöld Foundation. She has been member of board of SASNET (Swedish South Asian Studies Network), and coordinator of SARI (Stockholm Anthropological Research on India, a network of researchers focused on India at the Department of Social Anthropology, Stockholm University), member of board of SSAG (The Swedish Society for Anthropology and Geography), member of board of Forum for Feminist Research at Centre for Gender Studies, Stockholm University and member of board at the Department of Social Anthropology, Stockholm University. South Asian Activists in the Global Justice Movement. New Delhi: Oxford University Press. “Transnational Dalit Feminists In Between the Indian State, UN and the Global Justice Movement”. In Kenneth Bo Nielsen och Alf Gunvald Nilsen (red. ), Social Movements and the State in India. London: Palgrave Macmillan. Hardtmann, Eva-Maria, Vincent Manoharan, Urmila Devi, Sabrina Francis and Jussi Eskola. ‘A Dialogical Writing Experiment between Scholars, Activists and Activists/Scholars: The Tensions and Joy of Writing Together’. In Helena Wulff (red. ), The Anthropologist as Writer, Chicago: University of Chicago Press. ‘Introduction. Social movements in a neoliberal era: Ethnographies of local activists in transnational networks’. In Heidi Moksnes and Mia Melin (eds), Global Civil Society: Shifting Powers in a Shifting World, Uppsala: Uppsala University, CSD. The Dalit Movement in India: Local Practices, Global Connections. New Delhi: Oxford University Press (Reprinted in paperback, sixth edition, 2013). “Les Dalits Indiens sont Soudainement Partout! La création de nouveaux réseaux internationaux alternatifs”. In Anthropologie et Sociétés, vol. 29, no 3, 2005: 97-122. “Daliterna I den globala rättviserörelsen: Buddhism och socialism på Internet”. Chakra no. 3. “Our Fury is Burning”: From Local Practice to Global Connections in the Dalit Movement. Stockholm: Stockholm Studies in Social Anthropology, vol. 54. “In Touch with Politics: Three Individuals in the Midst of the Dalit Movement”. I Eva Poluha and Mona Rosendahl (eds), Contesting ‘Good’ Governance: Crosscultural Perspectives on Representation, Accountability and Public Space. London and New York: Routledge Curzon. ”Motståndsrörelse mot kastväsendet: glimtar från Indien och England”. In Ulf Hannerz, (ed.) Flera fält i ett - Socialantropologer om translokala fältstudier. Stockholm: Carlssons. Hardtmann, Eva-Maria and Vimal Thorat in collaboration with Tomas Löfström and Birgitta Wallin (eds.). Berättelsen på min rygg. Indiens daliter i uppror mot kastsystemet. Stockholm: Ordfront. Hardtmann, Eva-Maria and Vimal Thorat in collaboration with Tomas Löfström and Birgitta Wallin (eds.). Detta land som aldrig var vår moder. Dikter av indiska dalitpoeter och bilder av Savi Sawarkar. Stockholm: Tranan.